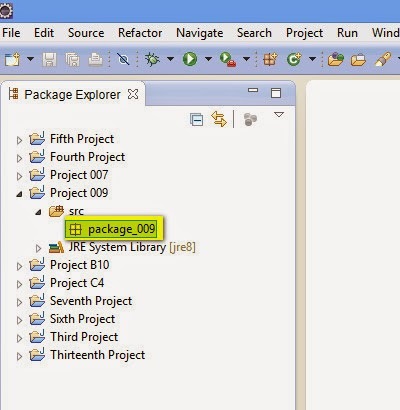 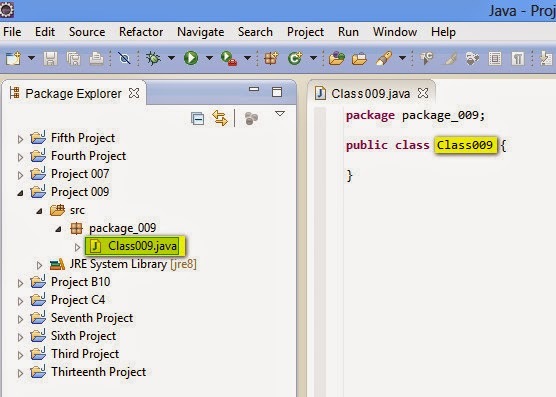 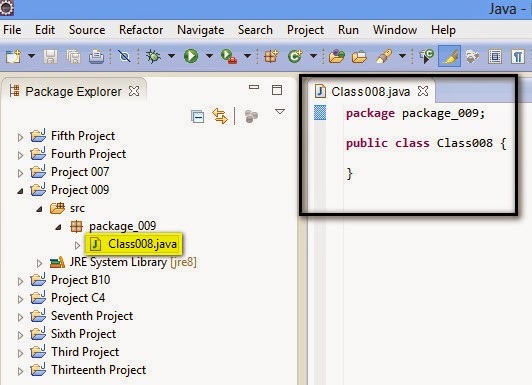 In Eclipse, we can rename the Java Projects, Packages and Classes. 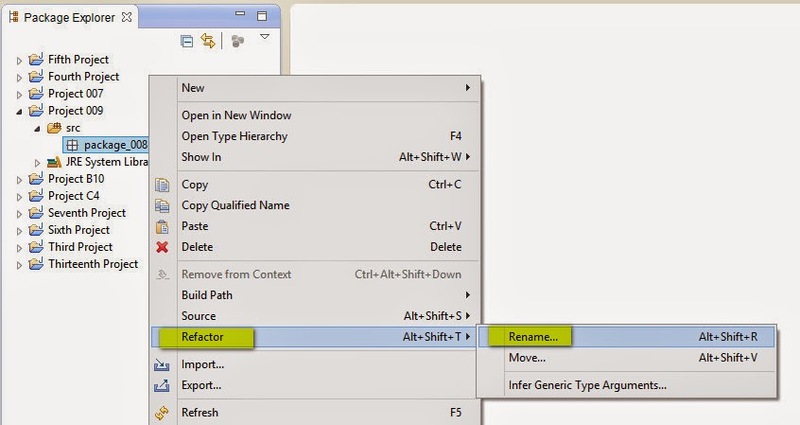 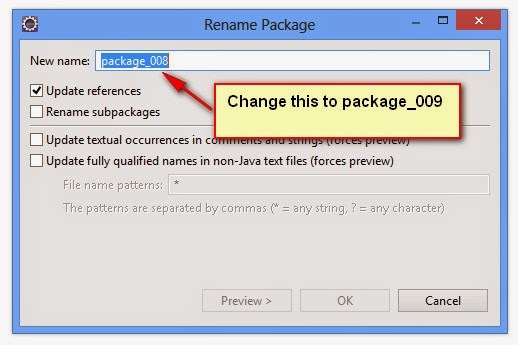 We have to use 'Refactor -> Rename' option to rename the items in Eclipse IDE. 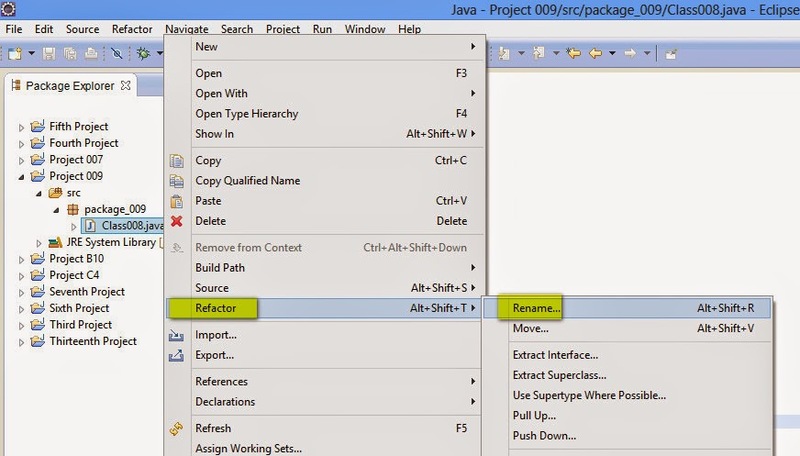 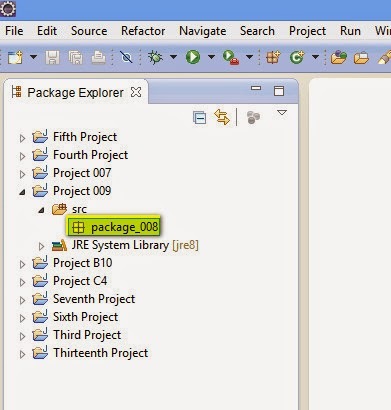 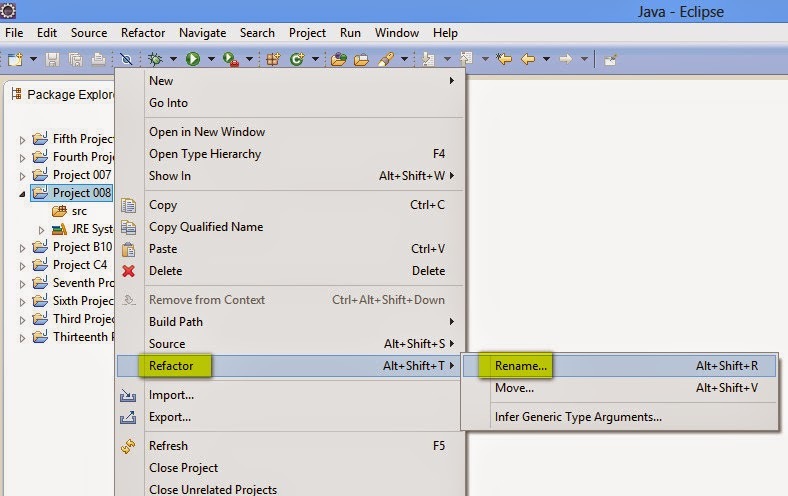 Create a Java Project, a package and a Class in Eclipse IDE, and rename them using 'Refactor' -> 'Rename' option. 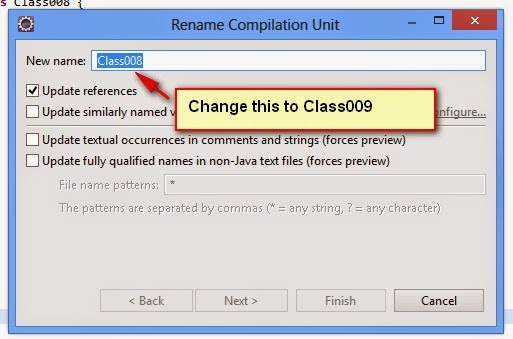 Hence use 'Refactor' -> 'Rename' option to rename Project, Package and Class in Eclipse IDE. 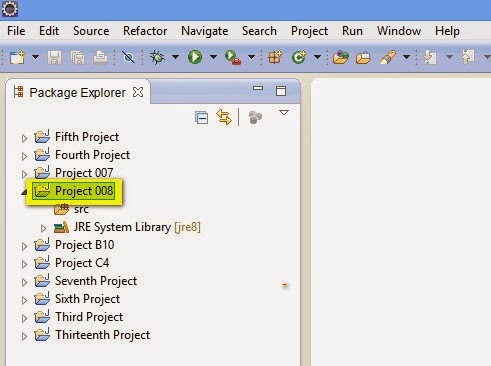 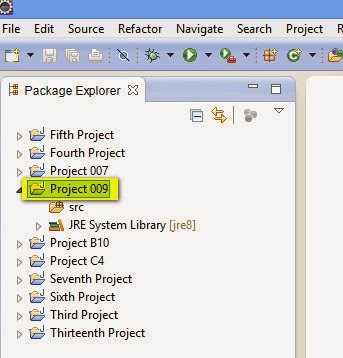 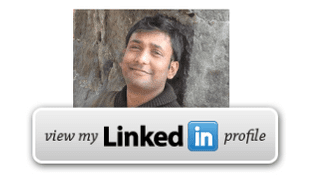 Finding the Projects location in Eclipse IDE will be explained in the next post.